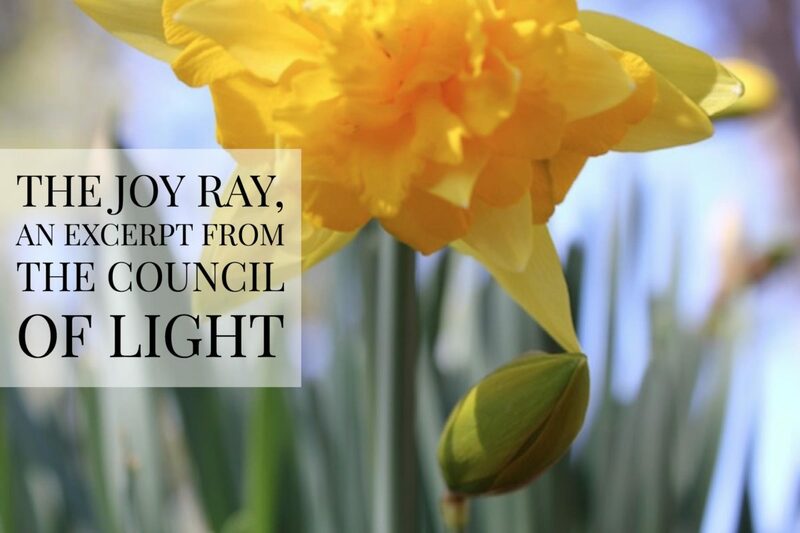 What a joy it is to share The Joy Ray with you today, an inspirational excerpt from Danielle Rama Hoffman’s brilliant and empowering The Council of Light: Divine Transmissions for Manifesting the Deepest Desires of the Soul. Filled with tools of transformation and keys to places you may have locked away, The Council of Light will take you beyond time and space to welcome new into your life. Please take some time for yourself today to create sacred space and connect with the energy of joy! Allow yourself to feel, hear, know, see, taste, and sense the energy transfer that is happening in this moment. This is a free will universe so you are in charge of your experience. You are in charge of how much benefit you get from our interaction. With your free will ask yourself this very important question, “Are you willing to experience more joy in your life?” This seems like the simplest of questions and you may rush to answer “Yes.” You may desire to be happier, to have more joy, and to have more fun. These things may be what you have been longing for. On the surface it is easy to answer, “Yes,” and that is actually all that is necessary. Yet on a deeper level are you really willing to be happy, to be at peace, to see life as a joyous and fun experience? Are you willing to move beyond what you know of separation consciousness or the lack of health, money, time, peace, vitality, and energy? Are you willing to own that you know everything that there is to know about not having enough, about not being enough, and are you willing to step into the unknown of consistent moment-to-moment joy, bliss, and unity? From our perspective we feel that you have learned everything there is to learn from your repetitive patterns, from your sense of feeling unfulfilled, and that there actually would be more to learn from living an exquisite life. You may think about joy as an emotion. This is partially true. In actuality it is a vibration; it is energy. In its purest form it elicits a harmonic resonance and a peaceful state. As you are connecting to this energy, to this frequency of joy, it encourages your body, mind, emotions, and spirit to align with oneness; to come into a state of unity, into a state of harmony. From this state of harmony you are able to connect to the deepest parts of you: to your spirit, your soul, and your heart’s desire. All of you functions as one unit. One of the main reasons that you may feel discontent in your life is the splitting of your energy. Your mind thinks one thing, your emotions feel another, your body is in tune with something else, your spirit is singing an entirely different tune–and you may feel confused, scattered, or not present. By introducing the Joy Ray, the energy of joy, into this incoherent vibration there is a unifying effect that happens. You are so much more than you can see, touch, and feel. Your essence is actually timeless; it is eternal. You may have a habit of putting most of your attention on what you can think about and what you can see. Yet our hope for you is that you begin to put more attention on your essence, on your eternal nature, and on your multi-dimensional self. As your body, mind, emotions, and spirit come into resonance your eternal nature, your divine nature, your essence is able to communicate with you more fully. There is also the thought that your external environment is what is dictating your feeling of happiness in life. If there is something in your life that is not to your liking then you feel negative, unhappy, or discontent. If there is something that is to your liking you feel happy and at peace. From our perspective this is one of the main reasons why people feel unhappy. It is a no win situation to allow your inner state and your inner feelings to be dictated by your external environment. The amount of time that you are perfectly the right temperature, have the perfect amount of rest, the perfect amount of nourishment, and all of your conditions are perfect is a small window. Your environment is always changing. If you shift your focus from allowing your external environment to elicit a state of joy or a feeling of joy and you consciously decide to be joyous regardless of any situation then you will have a joyful life. If you choose joy moment to moment then you will have a life of joy. When you are connected to your expanded self you are in tune with the larger picture of your life–of your soul’s evolution, of your past experiences, of having purpose, and of everything that has happened in your life being the best thing that could have ever happened. It is this expanded state that allows you to be neutral enough to decide that everything in your life is good and is a reason for joy. We invite you to create a joy list: a list of activities in which you feel joyous when you do them. You may even contemplate putting on your list activities that you have never done but the idea of them brings joy. Place this list close to you where you can see it. Try to call upon the Joy Ray for five minutes each day. You can begin this segment of your day by stating out loud, “I am willing to have an exquisite life. I call upon the Joy Ray.” Then focus on a joyful symbol, word, or memory to activate this ray. During this time you can also imagine that you are doing the activities on your list. Spending five minutes a day consciously connecting to the energy of joy in its purest state will increase the joy in your life. 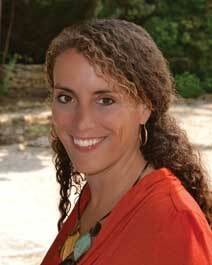 Danielle Rama Hoffman is an ancient wisdom keeper, divine transmitter, and a leader in the shift into unity consciousness. She is the author of The Temples of Light and The Council of Light. The creator of Divine Birthright Activation and Thoth’s Magic Academy, she leads tours to Egypt and hosts Heaven on Earth retreats in southern France. She lives in Seattle, Washington.